If you go by won-lost records then this point spread is justified. Long Beach State is 11-18 overall and 5-8 in the Big West Conference. Cal Santa Barbara is 19-8 and 8-5 in league. Current form-wise, though, these teams are much closer than this point spread shows. The spot sets up well for Long Beach State, too. Oddsmakers don't have time to do in-depth study on minor conferences such as the Big West. They are assigning their point spread number based almost entirely on their power rankings. But now the 49ers are playing their finest basketball. They are 3-2 in their last five games, including winning their past two. Prior to last week, the 49ers had dropped eight of nine. Note, though, that five of those defeats occurred by seven points or fewer. Their last four defeats have been by an average of four points. Sophomore wing Jordan Roberts has helped spark this improvement scoring double digits during in each of the last three games after failing to reach that figure in 22 of the first 26 games. Santa Barbara was a level higher than Long Beach during the first half of the season. The Gauchos had aspirations to win the Big West title. But that's not going to happen. Santa Barbara won't be able to catch UC Irvine with only three regular season games left. The Gauchos are just about locked into a top-four spot. Long Beach State is 1 1/2 games out of fifth place in the Big West. The 49ers have incentive to finish fifith in the conference in order to gain a more favorable conference seeding. The Gauchos haven't been good in these type of situations. They are 1-7 ATS the past eight times going against sub .500 opponents and have failed to cover in five of their past seven home games. The 49ers average nearly two more points per game than the Gauchos. They also have covered in their last four road contests. Long Beach State is undervalued here and a very live 'dog in my view. UCLA is a better and different team than when it lost 80-67 to USC on Jan. 19. The Bruins had won the four previous games in the series. I see them bouncing back here. The Bruins are 12-5 ATS versus opponents sporting a losing road record. USC is 1-6 ATS in its last seven road games versus opponents who have a winning home floor. Old Dominion has lost just once in its last 12 games. That loss, though, occurred to Texas San Antonio. I see the Monarchs getting their revenge here. Old Dominion shot just 30 percent from the field in that defeat while the Roadrunners were on fire from long distance connecting on 16 of 31 3-pointers. The Monarachs are the superior defense ranking in the top-10 in scoring defense and defensive field goal percentage. Expect tremendous intensity in this matchup. Villanova is in revenge and stop-the-pain mode. The Wildcats' shooting has been way off. They need to win with defense. Marquette superstar Markus Howard isn't 100 percent because of a groin injury. There were only 131 points when the team's met the first time this season with Marquette nipping Villanova, 66-65. The teams are even more familiar with each other now. 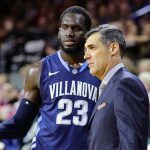 I want Villanova going for me at home in desperate need of revenge and a victory. The Wildcats have lost three in a row. All of those defeats were on the road. They also lost to Marquette by one point on the road on Feb. 9. The Wildcats are 22-8 ATS in their last 30 home games. They have covered six of the past eight times versus Marquette. These teams met last month. East Carolina only managed 50 points. Yet the total still went Over. Now we have a much smaller total for the rematch. It's too short of a total given Houston's scoring ability and tendency to run up scores, which it did against the Pirates in the first meet. Houston poured in 94 points against East Carolina. That was the most points the Cougars had scored since their opening game versus non-league opponent Alabama A&M. I'm going to fade the line movement, which has been to the Over, and go with the Under in the belief this total has become inflated. Wisconsin has gone Under in nine of its last 11 games. The Badgers have a top-10 defense. So Under always is my first look with the Badgers. Wisconsin is giving up just 57.3 points per game during its last 10 games. Indiana is averaging only 56 points in regulation during its past four games. Indiana has a respectable defense giving up 67 points per game. The Hoosiers have surrendered just 55.5 points in regulation during their last two matchups. The Under has cashed in five of Indian's last six home contests. I am riding MIchigan here. The Wolverines are 16-0 at home. They have covered six of their last seven home games and have owned the Spartans recently beating them by double digits during each of the past three meetings. Florida State is riding a season-high eight-game win streak. The Seminoles are off a 77-64 road win against Clemson this past Tuesday. They draw North Carolina off an emotional victory against its biggest rival, Duke. Any time the Tar Heels just beat Duke they are ripe for a letdown in their next game. The Seminoles are the best in the ACC in two-point percentage defense. The Tar Heels rank seventh in the ACC in giving up points per 100 possessions. Loyola Marymount buried Pacific, 60-42, in the first meeting between these teams as six-point favorites as they dominated the boards and the Lions are in a great spot to do it again. The Lions are off losses to Gonzaga and BYU. They have been idle for a week. Pacfic just played on Thursday night where the Tigers lost, 58-32, to St. Mary's. Pacific is averaging just 50 points in its last three games. Loyola Marymount is tough in these spots, too, going 10-4-1 ATS the past 15 times versus a foe with a losing mark. Missouri State has gone Under in 11 of its last 13 games. I'm going to ride that trend. The most points the Bears have surrendered during their last nine games is 65 points. They have held seven of their past nine opponents to 63 or fewer points. Indiana State just held Illinois State to 50 points in its last game. Yale and Harvard are the class of the Ivy League. Harvard buried Brown, 68-47, as six-point home chalk on Feb. 2. So laying this short price on the road is more than fair. The Crimson have covered 71 percent of their last 33 Ivy League games. Brown has only covered 17 percent of its past 13 Ivy League contests. Harvard also covered 68 percent of its last 22 away matchups and is 5-1 ATS in its last six meetings versus Brown. Only once in their last eight games have the Crimson lost. That was against Cornell three games ago and came the day after the Crimson went three overtimes in a victory against Columbia. Central Florida is playing well with three straight victories. Cincinnati is tough at home, but I don't see the Knights being outclassed at all in this matchup. They are getting balanced scoring and play with a great deal of intensity. Both teams are strong defensively ranking among the top 40. So taking this many points is huge. The Bearcats have failed to cover seven of the past 10 times when going against an above .500 opponent. I want Villanova off a rare loss. I also want to fade Georgtown now that they realistically are not going to get a bid to the NCAA Tournament unless it does extremely well in the Big East Conference Tournament. The Hoyas are 1-3 in their last four games and off a 90-75 loss to Seton Hall. Georgetown is 5-11-1 ATS in its last 17 Big East Conference games. The Hoyas also are 4-12-1 ATS during their past 17 home games versus opponents with a winning road mark. Star guard Phil Booth had a sub-par game against St. John's this past Sunday in a 71-65 road loss. The Wildcats blew an 11-point second half lead against the Red Storm. Jay Wright isn't taking that defeat lightly. Booth should help the Wildcats exploit St. John's youthful backdourt. Booth, the Hoyas' leading scorer at 18.3 points, didn't have a strong game in the first meeting between the two teams on Feb. 3. Yet the Wildcats still won, 77-65, covering as 11 1/2-point home favorites. Villanova has proven itself on the road covering 69 percent of its last 51 away matchups. The Wildcats also have covered the past four times versus Georgetown. Alabama is on a two-game losing skid. The Crimson Tide are coming off a terrible 18-point home loss to Florida. I expect them to be ready here. They have not lost three games all season and are 14-3 ATS following a double-digit home defeat. Alabama could damage its NCAA Tournament chances with a loss here. The Crimson Tide are the better team - ranked 56th in the latest Ken Pom ratings compared to Texas A&M being rated 98th - and have revenge. The Aggies nipped them, 81-80, on a buzzer beater. The Tide were 7 1/2-point home favorites in that matchup, which occurred on Jan. 12. Alabama led for all but four minutes in that game. Texas A&M is 3-9 in the SEC. The Aggies' other two conference victories were against Georgia and Missouri, who have a combined 4-20 SEC record. Texas A&M is just 4-10 ATS at home this season. Vandy is on a 13-game losing streak. But the Commodores have hung close in eight of those losses, either leading or trailing by no more than five points in the final four minutes. They nearly upset then top-ranked Tennessee on Jan. 23 losing in overtime. Tennessee just lost it's No. 1 ranking by losing to Kentucky this past Saturday. The Volunteers have to be down about that defeat. The Commodores take this matchup far more serious than the Volunteers. Missing 17 of 21 shots from beyond the arc, Illinois lost 72-60 to Wisconsin on Jan. 23. Since then the Illini have gone 5-1 SU, 4-2 ATS as their talented but inexperienced freshmen have matured and become more consistent. The Illini are beating good teams during this stretch, too, knocking off Michigan State, Maryland and Ohio State on the road. While Illinois is coming on, Wisconsin is slipping. The Badgers have lost consecutive games to Michigan and Michigan State. No shame in that, but the Badgers are showing signs of fatigue. They are not a deep team either. Wisconsin wins with great defense. Illinois ranks No. 13, though, in forcing turnovers. The Illini average four more points per game than Wisconsin and can keep this one close. Fairfield is having trouble scoring. The Staggs are averaging just 54.6 points per game during their last five games. But they are playing strong defense holding four of their last five foes to fewer than 63 points a game. The Under has cashed in each of their last nine games. Niagara is averaging 64.6 points per game in its last three games. These teams have a strong Under bias, too, with 10 of the last 13 meetings between the two schools going below the total. Northwestern is in stop-the-pain mode suffering five straight losses, including close defeats to Iowa and Rutgers in their last two games. The Wildcats lost those two games by a combined four points. I see the Wildcats bouncing back against Nebraska, which has become a point spread nightmare going 1-10 ATS in its last 11 games, including failing to cover in its last six home contests. The Cornhuskers' collapse has coincided with a season-ending injury suffered by forward Isaac Copeland on Jan. 26. He is Nebraska's second leading scorer and rebounder. Nebraska was lucky to end its seven-game losing streak by beating Minnesota in its last game. The Gophers practically handed Nebraska the victory. That won't happen against Northwestern. Bottom line is Nebraska can't be a mid-sized favorite against any Big Ten team right now. I understand the Volunteers have won 19 in a row and are 11-0 in the SEC. But I'm not sold on Tennessee, nor its coach, Rick Barnes. If the Vols win this game, I will be. But I don't see them beating Kentucky on the road. Kentucky's freshmen are starting to mesh. The Wildcats have covered eight of their last nine and are 19-7 ATS the past 26 times going against an opponent with a winning record. The Wildcats will be even more determined to win this game after suffering a 73-71 loss at home to LSU this past Tuesday that ended their 10-game win streak. The Wildcats let a nine-point second-half lead against LSU slip, losing on a tip-in at the buzzer. The Wildcats have the talented shooters to exploit Tennessee's lone real weak spot, their 3-point defense. The oddsmaker opened this total too low. VCU won the first meeting between the two teams, 76-71. Dayton has scored at least 75 points in three of its past five games. The Flyers average 74 points on the season, while VCU averages nearly 71 points per game. The Rams are an up-tempo team, too. The Over has cashed in four of their last five games. The Over also has won the past six times these teams have met. This Horizon League showdown is being shown on ESPNU. It's the biggest game of the season for Wright State and I believe the Raiders will be up for the challenge. The Raiders are home and playing their best ball winning seven of their last eight games while going 5-3 ATS. Wright State is 11-2 at home. Northern Kentucky has a losing record on the road and has been very bad point spread-wise away from home covering only three of its last 12 road matchups. The Norse are 1-8 ATS the past nine times when on the road versus an opponent with a winning home record. Northern Kentucky defeated Wright State, 68-64, as 4 1/2-point home favorites on Jan. 11 The Raiders managed to cover despite shooting much worse from the floor than Northern Kentucky, making just three of 15 3-point attempts and shooing seven fewer free throws. Wright State's bench has improved since that defeat. The Raiders also rank 49th in the country in free throw percentage compared to Northern Kentucky, which rates 321st in the nation in free throw accuracy. I see a close, intense game here with every point mattering. Northwestern has lost four in a row. The Wildcats have been held to fewer than 53 points in three of their last four games. Rutgers has covered four of its last six games as its freshmen continue to improve. The Scarlet Knights own straight-up victories against Nebraska, Penn State and Indiana during this span. The Scarlet Knights should be pumped in revenge mode for a 65-57 home loss to Northwestern on Jan. 18. Rutgers was without its leading scorer, Eugene Omoruyi, in that game. He will play here. Arkansas has picked up its game going 4-2 SU and ATS in its last six games. The Razorbacks beat Missouri, 72-60, at home on Jan. 23. This time around, the Razorbacks catch the Tigers off a disappointing, 68-59, home loss to Texas A&M in which they blew a 12-point second half lead. The Tigers have been held to fewer than 61 points in three of their last four games missing their second-leading scorer injured Mark Smith. The Tigers have failed to cover in eight of their last 11 SEC matchups. This is a dangerous spot for 10th-ranked Marquette traveling after a huge home nationally televised victory against Villanova this past Saturday. DePaul is much improved. The Blue Demons have five wins in Big East play this season, which is their second-highest win total during the past 11 seasons. They have won two in a row. The Blue Demons are 13-3 when outrebounding their opponents. They outrebounded Marquette in the first meeting, but lost 79-69 on Jan. 23. DePaul made 15 of 19 free throws in that game. Marquette, however, was 28-for-32 from the foul line for 87.5 percent. Getting a late 3-pointer from David Collins, South Florida upset SMU as 5 1/2-point road 'dogs this past Thursday. That victory puts the Bulls 10 games above .500 for the first time in 27 years. South Florida is fat and happy as it returns home to face lowly East Carolina. The Pirates are having a rough season. But they should be pumped for this matchup while the Bulls are in a letdown spot. East Carolina has revenge for a 77-57 loss from two weeks ago and were called out by its coach following a dismal 65-49 loss to Wichita State on Wednesday. It's an added plus for East Carolina if South Florida is missing Alexix Yetna for a second straight game. He leads the American Athletic Conference in rebounding and had a huge performance in the Bulls' earlier victory against the Pirates with 28 points and 13 rebounds. Yetna is dealing with a hamstring injury. The Bulls may not want to take a chance on him for this game with a bigger matchup on deck Wednesday versus Central Florida. I'm going to ride the Under train with Sienna. The Saints have gone Under the total in their last eight games and are 12-2 to the low side during their past 14 Metro Atlantic Conference games. The Under also is 6-2-1 in Rider's last nine home games. Sienna has given up fewer than 55 points in five of their last six games, holding four opponents under 51 points during this current span. Rider's offense remains very inconsistent. I recall St. Mary's upsetting Gonzaga, 74-71, as 7 1/2-point road 'dogs last season. But while I'm not saying the Gaels can pull a similar upset in Spokane this season, I do believe they can hang in and that this line is inflated based on Gonzaga winning 13 in a row with many of those victories occurring in blowout fashion. The Gaels haven't lost a game in regulation by more than six points since Nov. 21. The Bulldogs are the No. 1 scoring team in the nation. St. Mary's may be down from previous seasons, but the Gaels still are very good. They rank 21st in field goal percentage and surrender fewer than 67 points a game. Gaels' guard Jordan Ford leads the West Coast Conference in scoring at 22.1 points a game. Offensive efficiency and tempo are two of the biggest keys in assessing a college basketball totals play. Both elements point to an Under in this Ohio Valley Conference matchup. Tennessee Tech is last in the conference in offensive efficiency. The Golden Eagles are 274th in the nation in scoring averaging less than 70 points a game. The Under has cashed in eight of their last 11 games. UT Martin plays at a slow pace. The Skyhawks have stepped up their defense recently holding four of their last five foes to fewer than 70 points per game. Providence is in circle-the-wagons mode here desperately needing a victory to keep alive thoughts of trying to make the NCAA Tournament for a school-record sixth straight time. The Friars catch St. John's in a possible letdown scenario after the Red Storm upset Marquette, 70-69, on Wednesday dealing the Golden Eagles their first home loss of the season. The Friars have the defense to hang in against St. John's leading the Big East in forcing turnovers and ranking in the top-50 in adjusted defense. The Friars also like to play at Madison Square Garden. They reached the finals of the Big East Tournament playing at MSG last season before losing to Villanova in overtime. The Friars are 9-4 ATS the past 13 times on the road when playing an opponent with an above .600 home record. Providence has defeated St. John's in six of the last seven meetings, including the past three. The Red Storm are 0-4 ATS the last four times they have hosted Providence. I see excellent value here with Princeton. The Tigers have won seven in a row while covering in their last five games. They are 20-8-1 ATS following a victory. Yale is strong, too. But the Bulldogs can be vulnerable defensively. I prefer Princeton's defense. I'm expecting a slow pace, which is a plus, too, for an underdog taking this many points. The Tigers are giving up only 55.5 points per game in Ivy League play this season. I'm usually attracted to the superior team in a pick or underdog spot. That's what we have here with Hawaii against Long Beach State. Hawaii is 4-3 in the Big West Conference. The Warriors are in must-win mode being 2 1/2 games out of first place. They are ranked 189th in the highly respected Ken Pom ratings. Long Beach State is 2-5 in the Big West with five consecutive losses. The 49ers are ranked 37 spots behind Hawaii by Ken Pom. The Warriors are surrendering 15 fewer points per game than the 49ers during the past five games. The two teams just met last Thursday and Hawaii was a 9 1/2-point home favorite. The Warriors shot 41.7 percent from the floor, missed 21 of 28 3-pointers and shot five fewer free throws yet still easily won, 74-57. So what has caused around a 10-point difference in the line? Well Hawaii is leaving the island following a 75-54 home loss to Santa Barbara as 3-point favorites, but that's not nearly worth that many points. The Warriors are 5-2 ATS in their last seven road games, 8-2 ATS in their last 10 road games following three or more straight home games and 9-1 ATS in their last 10 matchups versus a sub .500 opponent. Long Beach State is just 3-7 ATS in its past 10 games against foes with winning records. TCU is one of those good home, bad road teams. The Horned Frogs are home here and primed for a strong game epecially defensively. TCU coach Jamie Dixon is really stressing defense following his team's embarrassing 90-64 road loss to Baylor this past Saturday. That was the Horned Frogs' worst loss since Dixon became their coach in 2016. TCU has held its last three home opponents to an average of 59.3 points a game. The Horned Frogs allowed their past two opponents - Baylor and Texas Tech - to make 24 of 49 3-point shots for 49 percent. Both of those games were on the road. Despite that, the Horned Frogs still rank 26th in the nation in 3-point defensive percentage and were leading the Big 12 in 3-point defense prior to those games. Oklahoma State leads the Big 12 in 3-point shooting. But I see the Horned Frogs really clamping down on the Cowboys. Oklahoma State is averaging just 62.7 points in its last four games. The Cowboys, though, rank 64th in defensive field goal percentage. They have slowed down their pace, too, from earlier in the season, which is a strong plus for the Under. Look for George Mason to bounce back against Richmond. The Patriots had a five-game win streak snapped by VCU this past Saturday. The Patriots are tied for second in the Atlantic 10 with a 7-2 mark. They are 6-1 ATS in their past seven road games. Richmond is 2-7 in conference. The Spiders are 1-5 SU and ATS in their last six games. They have failed to cover in their past four home contests and have played much worse since losing guard Nick Sherod in late November. Richmond averages fewer than 70 points a game. George Mason ranks 89th in scoring defense. Taking points often is the way to go in the defensive-minded Missouri Valley Conference. Valparaiso gives up five fewer points per game than Illinois State and draws the Redbirds in a flat spot. Illinois State just beat Loyola of Chicago in front of a sell-out home crowd on Saturday in a first place conference showdown. Valparaiso is in stop-the-pain mode, strong defensively while the Redbirds are just average offensively. If the Crusaders can't pull the outright upset they should be able to hang around and get the cover. Chris Mack is a great coach and I expect Louisville to put forth a maximum effort following Saturday's 79-69 home loss to North Carolina. There is no shame in losing to North Carolina. There is shame, though, in how meekly the Cardinals went down to defeat. Louisville is 8-1-1 ATS following a point spread loss. The Cardinals also have covered in six of their past seven road contests. Until falling to the Tar Heels, the Cardinals had won six straight Atlantic Coast Conference games, winning those games by an average of 18 points. So maybe they were due for a flat performance. I don't expect a second bad game in a row. Virginia Tech is coming off a bizarre 47-24 road victory against North Carolina State on Saturday. The Hokies only hit 36 percent of their shots, but still won by 23 points. Virginia Tech got away with not having senior point guard Justin Robinson against the frigid-shooting Wolfpack. But the absence of Robinson, who is out with an ankle injury, could really hurt the Hokies versus the Cardinals. Robinson is Virginia Tech's second-leading scorer and leads the team in assists. Creighton is undervalued given its tough Big East schedule. Xavier is not. The Musketeers are just bad this season especially on the road. Xavier is 1-5 SU and ATS in true road games this season. All of those road defeats have been by seven or more points. The Musketeers also are 1-6 ATS in their last seven road contests when going up against opponents who own a winning home record. The Bluejays average 82 points when playing at home. Xavier averages 68.1 points on the road. The Bluejays should be pumped, too, for this Sunday home game in a double revenge spot after Xavier won both meetings last season, including nipping Creighton by one point in Omaha. Cal Poly is coming off a surpring 71-45 road win against UC Riverside two days ago. The Mustangs were 7-point 'dogs in that game. Cal Poly, though, is far from being a good team. The Mustangs were 1-9 going into that game. They are 2-7 ATS in their last nine lined games. They also are a very bad road team going 6-15-2 ATS during their last 23 away matchups. Northridge is 9-2 ATS in its last 11 games. The Matadors defeated Cal Poly on the road earlier this season and have covered eight of the last 10 in the series. Hofstra has gone Over in its last four games. The Pride has scored 84, 85, 86 and 87 points in these games. They have scored 84 or more points in eight of their last 10 games. Northeastern has gone Over in six of its last eight home games. The Huskies have gone Over in five of their last six overall contests. They have scored 78 or more points in six of their last nine games. St. Mary's has covered the past five times hosting San Francisco. The Gaels have covered their past five home games and will be highly motivated to get revenge for a road loss to the Dons earlier this season. San Francisco has a revenge game on tap - playing Gonzaga on Thursday. The Gaels have won each of their last seven home games by 15 or more points. The Gaels are back to playing top-notch defense holding three of their past five opponents to 60 points or fewer. Princeton is in excellent form winning five in a row. I'm going to ride the Tigers here as they have an excellent track record in these type of spots going 6-1 ATS the past seven times meeting an opponent that has a losing won/lost record. The Tigers are 5-2 on the road with a winning ATS away record, too. Columbia is 2-7 ATS at home versus a foe with a winning away mark. Princeton has dominated this series, too, covering eight of the last nine times. Since losing star center Bol Bol for the season, Oregon has become a different team. The Ducks aren't who you think they are. They go motion a lot and eat up clock. The Under has cashed in three of their last four games. They have held four of their past five opponents to 61 points or fewer. Utah has picked up its defense. The Utes have not allowed any of their last five foes to score more than 70 points. Utah has had difficulty going against tight zone defenses. Oregon is playing far more zone since they no longer have rim protector Bol. These teams have a huge Under history, too, with 10 of the last 11 in the series going below the total. Wofford is in a flat spot coming off a three-game home sweep where it won two of those games in the final seconds. Despite those victories, the Terriers still have failed to cover in their last four Southern Conference games. Mercer is a bad road team, but good at home going 7-2. The Bears are 9-4 ATS in their last 13 home contests. The Bears hung tough at Wofford in the first meeting losing, 78-74, as 12-point road 'dogs on Jan. 5. I want Fresno State going for me after the Bulldogs were upset, 74-65, as 6-point road favorites at Colorado State in their last game. The Bulldogs have not lost two games in a row all season. Wyoming is 1-6 in the Mountain West having lost six of its last seven games. Wyoming has been hard hit by injuries and lacks the scoring to keep up with Fresno State. The Cowboys average just 65.6 points a game, which ranks 323rd in the nation. Fresno State is 7-1 ATS the past eight times facing a foe with a losing home record. The Cowboys have failed to cover eight of the last 10 times versus opponents with a winning record. They lack the manpower and experience to cope with what should be a fired-up and mad Bulldogs squad. Tennessee is finding out that being the top-ranked college basketball team in the country carries a huge target. The Volunteers have had some narrow escapes in two of their last three games beating Alabama by just three points as 13-point home favorites and getting past Vanderbilt in overtime as a nine-point road favorite. I don't see the Volunteers being quite so fortunate on the road against a rugged, well-coached South Carolina squad that has been peaking since SEC play began going 5-1. 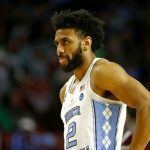 Going back to last season, the Gamecocks are 11-2-1 ATS during their past 14 SEC contests. This is Tennessee's fourth SEC road game. The Volunteers have trailed in all three of their league road matchups. South Carolina is good at forcing turnovers and rebounding. The Gamecocks will be fired-up, too, under fiery Frank Martin. Tennessee is coming off its third-worst turnover game of the season committing 16 in their last game against West Virginia. South Carolina has covered in four of its last five games versus Tennessee. Baylor is 4-1 since losing center and second-leading scorer Tristan Clark for the season with a knee injury. The Bears have come together following Clark's injury riding a season-high four game win streak. The Bears have knocked off ranked Texas Tech and won at Oklahoma State during this span. There are some key intangibles that point to the Bears keeping this one close - if not pulling the outright upset. Oklahoma just rolled past Vanderbilt, 86-66, this past Saturday in an SEC/Big 12 Challenge game. Vandy is coached by Bryce Drew, the younger brother of Baylor coach Scott Drew. So you know the older Drew has picked his brother's brain about how best to attack the Sooners. Not committing turnovers is one element. Vanderbilt committed 22 turnovers in its road loss to the Sooners. Baylor turned the ball over just eight times, tying a season-low, in beating Alabama, 73-68, this past Saturday. The Bears have gone more to playing four guards at one time since losing Clark. That could account for fewer turnovers. The Bears are playing tough defense holding their last four foes to 68 points a game. Baylor also leads the Big 12 in rebounding margin at plus 6.5. Baylor is used to playing on Monday after having just been in action on Saturday. They have done it the past two weeks, posting Monday road victories against Oklahoma State and West Virginia. The familiarity in this routine is a plus. The Bears won both of these games straight-up as an underdog. Baylor is 4-0 ATS during its past four away contests. The Bears also have covered in four of their last five road games versus the Sooners. The last time the Sooners played on less than two days rest was back in November. Oklahoma hasn't been playing that well either going 3-3 in its last six games. Utah has been playing strong defense. The Utes have held their last four foes to 70 points or fewer. California struggles offensively. The Golden Bears haven't reached 60 points during their last three games. They rank last in the Pac-12 in scoring and field goal percentage. The Under has cashed in four of the Golden Bears' last five games. San Diego State is in a foul mood after blowing a 20-point road lead against Fresno State in its last game. The Aztecs are 15-6 ATS for 71 percent in their last 21 home games, including beating UNLV by 38 points last season at home. UNLV has covered just 25 percent of its last 41 away matchups. The Rebels have played an easy Mountain West schedule. So their record is misleading. Look for the Aztecs to expose the Rebels here. Furman is 10-0 at home with a winning home ATS mark. The Paladins have dominated this series winning the past six times. They beat Samford both times last season winning each game by double digits, including defeating the Bulldogs by 15 points on the road. The spot is bad for Samford. The Bulldogs are coming off a 107-106 overtime loss to Wofford as 12-point road 'dogs this past Thursday. Dayton won last year's game, 80-70, against Fordham. The Flyers rank No. 5 in the country in field goal percentage. Fordham has some fancy defensive statistics that are out of whack because of the easy schedule it has played. The Flyers have gone Over the total in nine of their last 12 games. The Over has cashed in Fordham's past four games. The Over has cashed five of the last six times the two teams have met. Creighton is the 19th-highest scoring team in the nation averaging 83.9 points a game. Yet the Bluejays were held to 69 points in an 84-69 road loss to Butler during the team's first meeting on Jan. 5. Creighton made just 7 of 27 3-point shots (25.9 percent), was 16-of-24 (66.7 percent) from the foul line and hit 45.1 percent from the floor. On the season, the Bluejays rank fourth in field goal percentage at 50.5 percent, are No. 2 in the nation in 3-point percentage at 43 percent and are 67 percent from the foul line. So I see vast improvement coming from the Bluejays at home in the rematch. Creighton has gone Over in six of its last eight home matchups. Butler ranks 213th in defensive field goal percentage and 190th in 3-point defense. The Bulldogs have played seven consecutive Over the total games. They are averaging 79.6 points in their last three games. Creighton had problems stopping Kamar Baldwin, Butler's leading scorer. He scored 28 points and dished off seven assists against the Bluejays. Since the team's last met, Butler forward Jordan Tucker has come on to average 16.5 points so the Bluejays just can't concentrate on Baldwin. The Bulldogs have been a strong Over team in Big East competiton with the Over cashing 13 of the past 16 times (81 percent) in league play. Hofstra has gone Under in 13 of its last 16 road games. Look for that trend to continue here. The Pride has become zone-oriented and James Madison has had problems versus zone defenses. James Madison shoot just 43.3 percent from the floor. The Dukes have failed to reach 70 points in three of their last four games. Hofstra is capable of putting up big numbers so James Madison is not going to play up-tempo. Nothing like Horizon League basketball - at 8 in the morning West Coast time. Yep these two teams tip-off in the morning local time, which automatically has me thinking Under the total. Oakland has scored 76 or fewer points in six of its last nine games. The Golden Grizzlies are perceived as a high-scoring outfit. Yet they have gone Under in 20 of their past 28 Horizon League games. Indiana-Purdue is averaging fewer than 68 points during its last five games if you discount the Jagaurs' 90-74 victory against Cleveland State. The Jaguars have been an Under team, too, in league play as eight of their past 11 Horizon League matchups have gone below the total. UMass is stepping down in class and can take advantage of St. Bonaventure's youth. The Bonnies are dealing with injuries and have been horrible on the road going 0-8-1 ATS during their last nine road games. UMass has the better offense and is showing improvement on the defensive end. The Minutemen are averaging nearly six more points per game than St. Bonaventure. 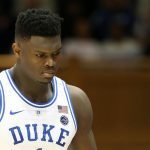 Duke has a Dream Team of freshmen with RJ Barrett, Zion Williamson and Cam Reddish. But Pittsburgh also has some very good first-year players with Xavier Johnson, Trey McGowens and Au'Diese Toney. Duke is coming off a huge marquee home victory against Virginia this past Saturday. Pittsburgh is treating this as its biggest game of the season. The matchup has been sold out for weeks. Jeff Capel is a big reason why the Panthers are sky-high for this matchup. Capel played four seasons for Mike Krzyzewski and then coached under him for seven years while probably being Duke's top recruiter. Capel was named Pittsburgh's head coach last March. This is the first meeting between Capel and Krzyzewski. Capel knows the Blue Devils better than any opponent. He knows Duke's tendencies and has intimate knowledge of the plays the Blue Devils run. Duke is likely to be missing point guard Tre Jones, who was leading the Blue Devils in assists and was their fourth-leading scorer. He suffered a shoulder injury last week and is not expected to play. The Panthers have covered 76 percent of their lined games under Capel. Pitt is 9-3 ATS in its home games. The Panthers have a strong history of covering spreads versus elite competition going 9-2-1 ATS the past 12 times facing opponents with an above .600 winning percentage. I expect this game to be close throughout. But if Duke does build a double-digit lead the backdoor should be open for Pittsburgh because Capel and Krzyzewski are close friends. Krzyzewski would not want to embarrass Capel especially on Capel's home-court.